Because you install the system yourself, you can customize it to fit your needs. A cellular network connection and backup battery ensure that your home is always protected. By providing home security that fits your needs, Frontpoint offers you true peace of mind. 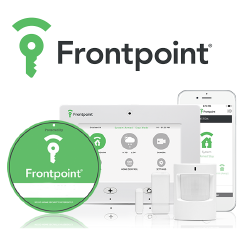 There are different ways for you to purchase a Frontpoint home security system. You can purchase your system online, which is something that not all home security providers offer, but you do have to do your research. Thankfully, Frontpoint’s website offers easy-to-understand language when describing the features and benefits of their various equipment, plans, and comparison grids. If you decide to purchase a system online, make sure you take your time to understand the equipment differences between each plan. 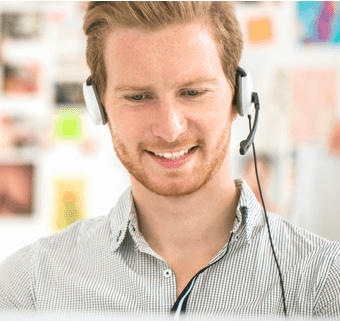 Of course, the best way is to call Frontpoint directly and speak with a friendly customer care specialist who can provide you with professional advice. Looking for something a bit more high-tech than a traditional control panel? Upgrade your Frontpoint system with a touchscreen control panel. This 7-inch color screen allows you to arm and disarm, change your settings, control automatic updates, and more. Looking for complete protection beyond burglaries and intrusions? 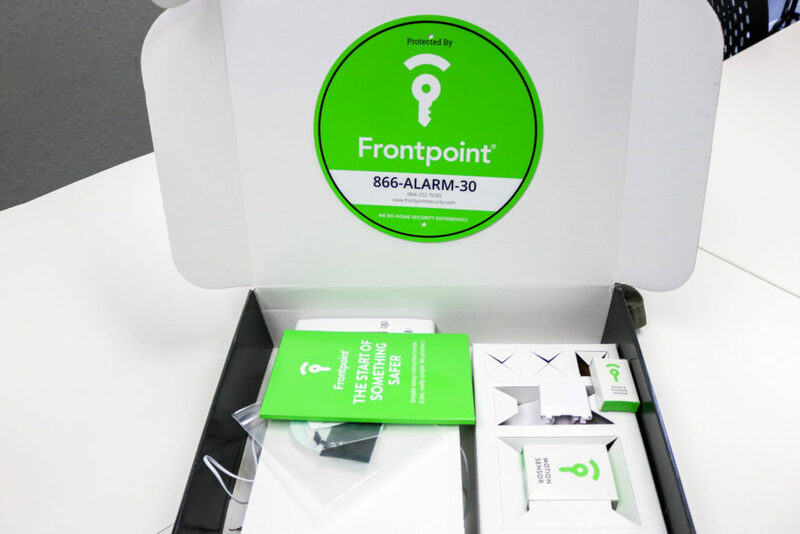 Frontpoint also offers carbon monoxide sensors, smoke and heat sensors, and water and flood sensors. There’s no need to schedule a technician to come out and set up the system; you can do it yourself. You choose exactly where you want to place cameras, monitors, and your control panel. Installing the system yourself is just as easy as setting up a new computer and printer. If you’re still struggling to get everything up and running, Frontpoint offers helpful videos on their website to make things easier. 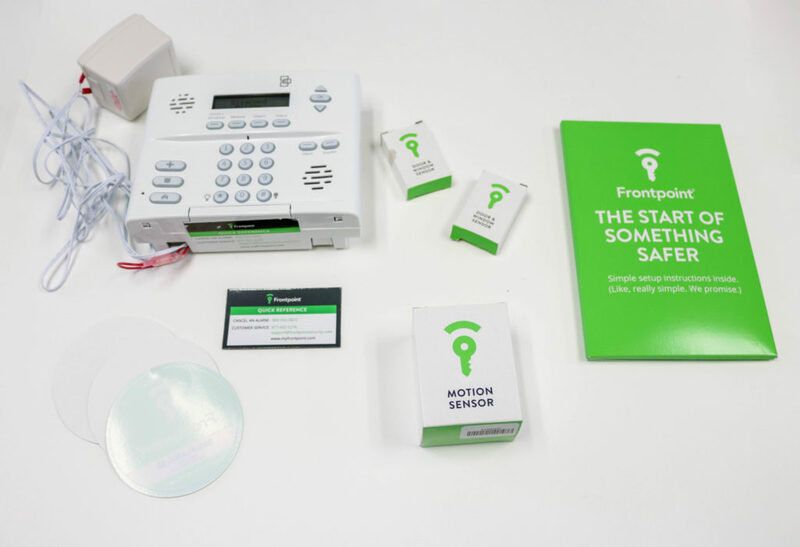 Not only is the Frontpoint home safety system extremely easy to set up, it’s also extremely easy to use. The control panel will keep your home protected, while various mobile apps allow you to check in on your property while you’re away. Frontpoint plans are extremely competitive in the home security industry. The affordable Protection Plan offers all the basics you would expect from a home safety system that includes intrusion protection and 24/7 monitoring. If you’re looking for all the bells and whistles, consider the Ultimate Plan. Its high-tech features include live video streaming, night vision, and automated door locks. Although Frontpoint plans are affordable (equipment starts as low as $99.95), they don’t stop there when it comes to providing you with a great deal. A customer service representative can help you search for insurance discounts, all equipment is shipped for free, and the three-year warranty covers everything. Service is important to consider when it comes to a home security system. Although Frontpoint allows you to take the monitoring of your property into your own hands, knowledgeable agents are also standing by to monitor your property for you. You can call in and talk to a customer care agent at any time. Frontpoint also makes it easy to get answers to your questions on their website. They have handy user guides and FAQs that will help you learn everything there is to know about their system. Frontpoint has been around for over ten years, having been established in 2007. 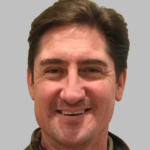 They haven’t won any fancy industry awards yet, but they are overwhelmingly recommended by their customers for exceptional customer service. According to a 2015 survey, 96 percent of customers would recommend Frontpoint. They have a nearly perfect 5-star rating on Trustpilot.com. The few negative reviews they do receive are promptly responded to – that’s commitment to customer service! *Disclaimer for approved offers (free equipment): Offer requires minimum purchase of $99.95. This offer available only to homeowners and credit qualified individuals and cannot be combined with any other discount. Feature availability depends on monitoring agreement. Void where prohibited. Valid for new Frontpoint customers only. Taxes and fees may apply. 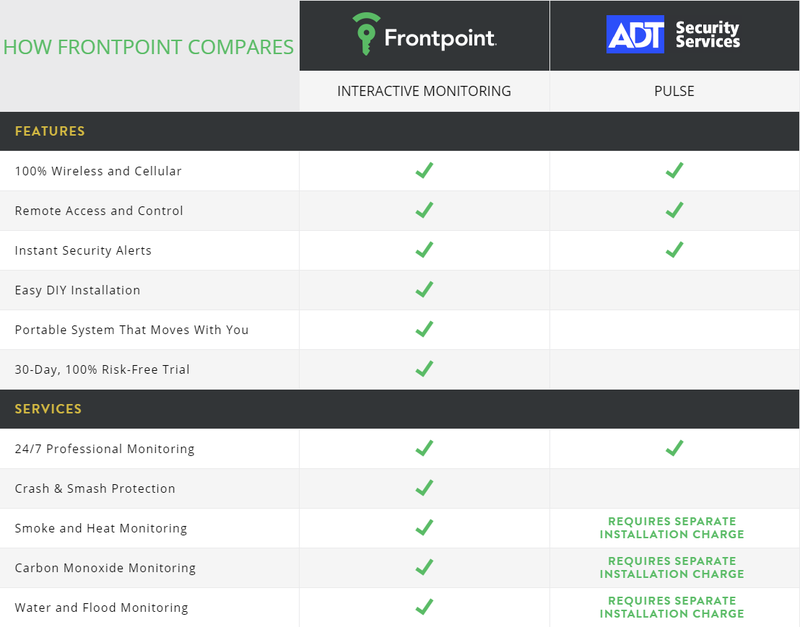 If you’re looking for a dependable, yet affordable, home security system, Frontpoint is an excellent choice for you. With the ability to install your own system, customize it to meet your needs, and a wide variety of technologically advanced features, this system definitely tops our list. Click here to find the best medical alert systems.